With 98% of a female readership, we know that AllFreeSewing consists of quite a bit of clothing tutorials for women. While we love a good dress or purse, it can certainly be frustrating for our male site visitors to enjoy the selection. Today we’re presenting sewing ideas for men (in tops). This modest-in-size but mighty-in-material roundup shows five amazing tutorials for a guy who loves to sew. 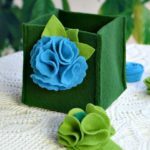 Browse through this collection if you’re after a new look for yourself or if you’re a lady looking to find ideas for sewing gifts for men. 1. 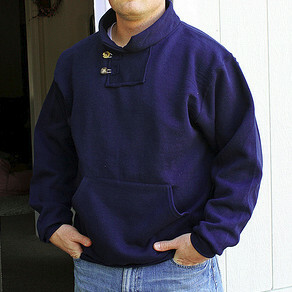 Men’s Fleece Hoodie – Undoubtedly one of the most popular projects on AllFreeSewing, this DIY hoodie is always a winner. An advanced project, this sewn top is not for the faint of heart. Follow along to find out how you can create a sweater that looks like it costs three times the amount it cost to make. 2. 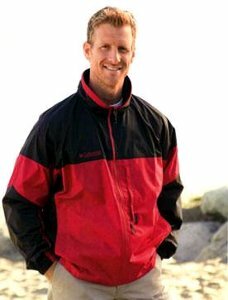 Club Jacket – It doesn’t make sense, but sometimes you refuse to purchase a wind-breaker at the store because of that odd shade of green or the weird slanted pocket that you don’t understand. It’s OK. We understand. Instead of fighting the limitations of big brands, learn how to sew this Club Jacket. 3. Classic Collared Shirt – Getting down from advanced to intermediate, this project is for both the tailor who is fairly comfortable sewing and one who wants a retro look. We suggest a print that’s just as bold as the striking collar on this project. 4. 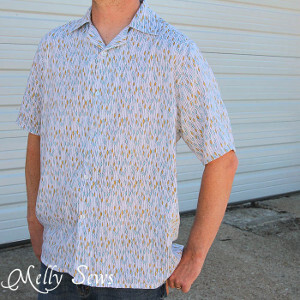 Mens T-shirt Pattern – Just like its predecessor in this roundup, this DIY shirt for men comes to you from Melly Sews. 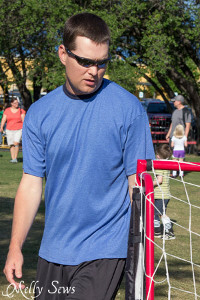 Get the athletic wear you want by learning how to sew your very own tops that you can run, play, or relax in. 5. Day On the Coast Sweatshirt Refashion – Alright, let’s ease up on the skill level. This sweatshirt may look complicated, but it’s really not. Refashioned from a hoodie, this sewn sweater has the feel of a Ralph Lauren without that eye-catching price tag. One of our favorite sewing projects for men, this tutorial is a must-see if you love to refashion. Alright gentleman, tell us: What sewing projects for men do you want to see more of? Button up shirt and a pair of decent pants. 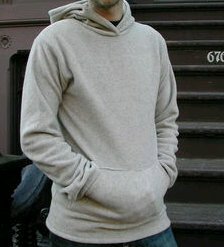 I’m looking for a casual men’s jacket pattern for chilly winter days. Bought some cool winter-themed fleece fabric with coordinating black fleece for binding/pocket linings, button hole decoration, etc. Also got some real wood 1″ buttons. This would be a knocking-around-the-house type jacket, so I want something warm and comfortable, but good-looking enough that I can take the dog for a walk without being embarrassed. Maybe a man’s robe pattern with a modified collar design would work, should have enough of the main body fabric to make a belt if I feel like it. If you have any patterns like this or know where i can go for help, please message me or reply to my post so all the other man sewists out there can have something to work on for themselves or as a nice holiday gift.